Friday 23rd November marked the date of the official launch of the Mind Heart Connect Foundation in Melbourne. We were honoured so many chose to be with us and witness what’s possible with the meeting of hearts and minds. Sincere thanks to our musicians, MC Carolyn for connecting all the threads, Kellie for your insightful Welcome to Country, Emma A for leading us with tapping and breathing,Tania for your professional narrative and reflection on the true essence of connection, Lori for your continual generosity of heart and Semeret for your courage and vulnerability in sharing your story with us. It is through our supporters trust in the vision of the MHC Foundation we are able to progress with our education and training programs. 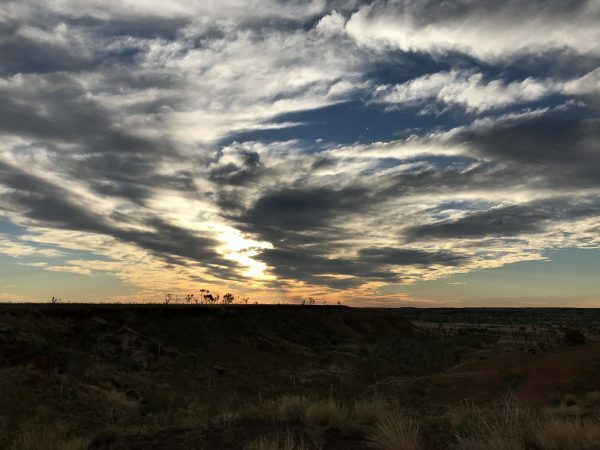 We are pleased that in May 2019 Dr Lori Leyden and her volunteer team will return to the Kimberley Region, as a result of the overwhelming level of interest and positive outcomes this year. This return will offer two programs; 1) secondary training to our first group of health professionals, educators and service providers trained in EFT/Tapping for Trauma Relief & Resiliency and 2) deliver our second Professional Masterclass for their colleagues who were unable to attend initially. Our vision for the Mind Heart Connect Foundation is to create resilient communities by bringing the most effective trauma healing tools, in the form of Evidence Based EFT/Emotional Freedom Techniques, to those who need it most in our Indigenous and Refugee people and the mental health professionals who serve them. In using Evidence Based EFT as a powerful healing tool for stress and trauma, the Foundation fosters peacebuilding from the inside out for individual and community resiliency. Evenings such as this are not possible without the support of our volunteers and sponsors. Jen & Christianne, Ellie our Youth Ambassador ‘Musellie’, Linger Cafe, Jellis Craig, Taprobane Tea Company & Nitty Gritty Graphics. Thank you! As you may be aware, the Mind Heart Connection Foundation has been created to bring emotional healing techniques to various community sectors. Providing this service will offer solutions for peace building and improving emotional health from the inside out, and help to increase individual and community resiliency. It’s Official – we are now a registered Charity! We applied to the Australian Charities and Not-for-Profits Commission (ACNC) in June and were delighted to receive our official notice of endorsement as a Registered Health Promotion Charity (HPC) in July 2018. We are especially pleased that we have also achieved our Deductible Gift Recipient Item 1 (DGR1) endorsement, so are now able to seek financial support and offer tax deductions to donors. Over the past eighteen months the Foundation’s Directors and Advisory Members leveraged their personal and professional connections to conduct several pilot program activities. From Melbourne to the Kimberley region in WA, these activities resulted in identifying current gaps in trauma informed services for traumatised indigenous and refugee youth and those professionals who serve them. To highlight just a couple of these activities, we are extremely fortunate to be associated with Petrine McCrohan from Bridging the Landscapes, who is based in Broome and has acted as our advisor. Petrine has been serving indigenous populations for 17 years and is well connected and respected in this region. As a result Kate Helder and Dr Leyden went ‘on country’ in May and facilitated introductory training in trauma informed Clinical EFT to community leaders. With such a positive reception to these trainings we are planning to return in November this year to deliver in depth training to health and education professionals working with service providers in the Kimberley region. With deep thanks to PAKAM, here is a short video from part of their trip. In Melbourne Dr Lori Leyden facilitated a Trauma Informed Leadership and Resiliency Training Day, which was generously hosted by Mutual Trust. With representatives from a variety of Not for Profits, including Asylum Seeker Resource Centre, Sacred Heart Mission, First Step Legal, CASSE Australia, Road Trauma Support Services Vic, we also engaged with directors and trustees of Private Ancillary Funds, such as the Gourlay Charitable Trust, The Kimberley Foundation and George Hicks Foundation and specialist Psychologists, working in private practice with clients with a variety of mental health needs. 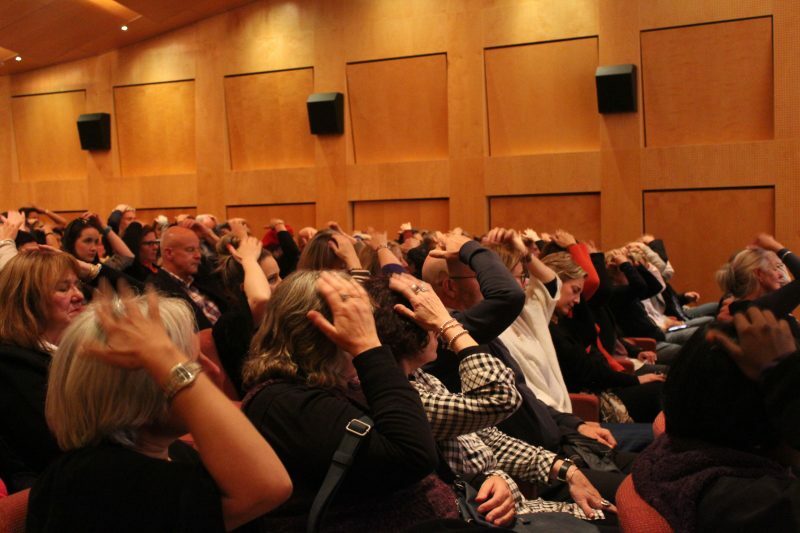 During this day attendees were educated on the effect of trauma on the brain, the impact of transgenerational trauma on individuals and communities, and were introduced to evidence based, rapid relief trauma healing techniques, also highlighting the need for self-care programs. We received wonderful feedback and positive support during and after this event, as it offered great opportunity for community healing and peace-building whilst giving hands on skills for caregivers and paraprofessionals. In addition to these various pilot programs, the Mind Heart Connect events and workshop company ran trainings in Trauma Informed Clinical EFT for health professionals, as we commence capacity building for future programs. This is truly just the beginning and we look forward to sharing more insights with you over the coming months. © 2019 Mind Heart Connect.